A Bognor Regis town council meeting was cancelled because only one councillor turned up. The planning and licensing committee was due to discuss plans to demolish 2-4 Waterloo Square, but at least half the members need to be in attendance to meet quorum, which is the minimum number of members to be able to conduct business. Only Lib Dem Jeanette Warr was in attendance when the meeting was due to start at 10.30am today (Monday September 10). 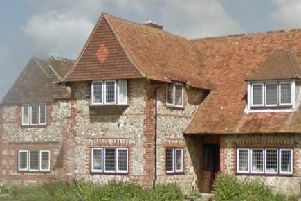 Developer B5 Ltd’s application to Arun District Council is to demolish the buildings, as it says the condition of the current structure is poor and unsafe. The neighbouring plot, facing the seafront, is currently empty following the serious fire at the Beach Hotel Restaurant in November 2016. The same developer has another application pending to convert the former arcade site into shops, cafes and a drinking establishment. The town council’s planning and licensing committee raised no objection to the demolition plans when it met in early August. But the item was tabled again for further discussion. Mrs Warr described how she was all for the current building staying. She added: “How can they say it could cause death if they have not been inside the place. It does not make sense to me. She suggested if the building’s demolition is approved they needed to ensure whatever replaces it looks similar and is in keeping with the conservation area. Fellow Lib Dem councillor Matt Stanley was also present, but he is not a member of the committee. He described how demolition should only be a last resort in a conservation area and the applicant should be forced by Arun to provide information to back up its claims that keeping the existing building is not economically viable.